Let's take a second to appreciate how great washi tape is. Paperchase have a sale on at the moment and I managed to pick these up for half the price. This is the travel edition set, and hopefully I'll travel to lots of places this year so that I can use the themed tapes. Luckily, there are plain tapes too, which I'll probably get more use out of. I should probably stop my collection here until I actually use up some of the tapes. 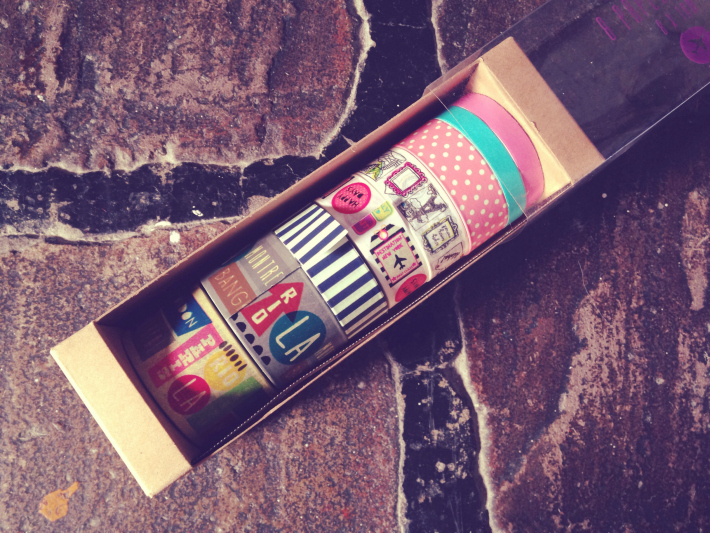 Is it a blogger cliche to own washi tape? This book was also on sale, and it features 280 sticky labels to use in a scrapbook or journal. I probably won't use the sticker in the top right (unless I put it in some of my notebooks) but I know I'll use the rest throughout the year. I really like the "Places Visited" sticker and the "Favourite Things". I can look back on all the places I went to and the things I liked in 2015 when 2016 comes around. A self explanatory purchase, I can use these to attach smaller photos to the 4x6 backgrounds. 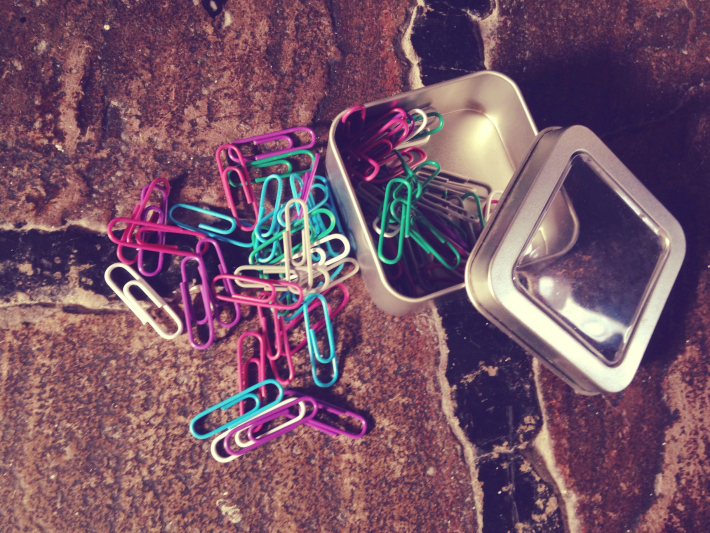 This was my boyfriend's influence as he pointed out some colourful paperclips in Hobbycraft but I completely forgot about them until I saw these. I absolutely love the postcards at Paperchase. 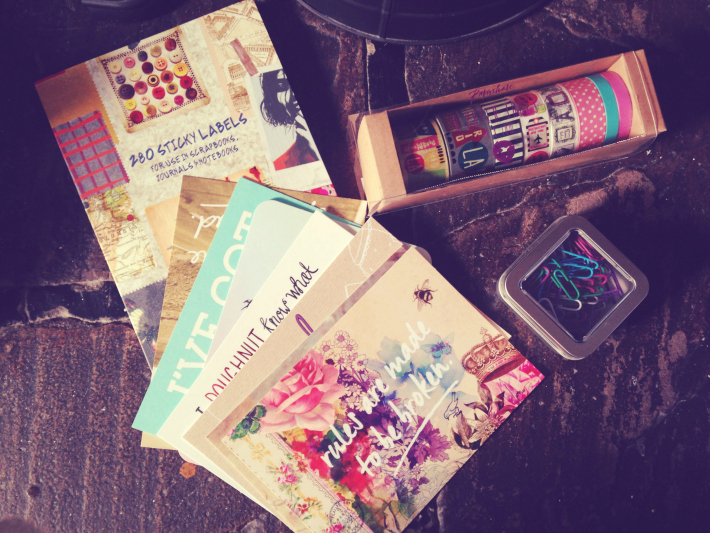 I've picked up a few cute ones to use throughout the year - some for Summertime, holidays and for occasions. I always get asked if I'd like stamps with them when I'm at the till and I get a little embarrassed to say I'm not actually sending them to anyone. But oh well, they're pretty and some are even motivational. 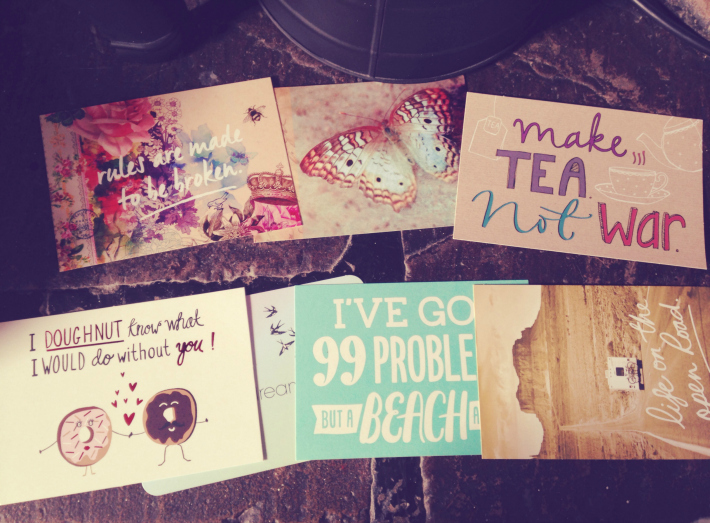 My favourite is the top left and the beach one in the middle that says "I've Got 99 Problems But A Beach Ain't One". I'm going to use this one in Summer when I go to the beach. 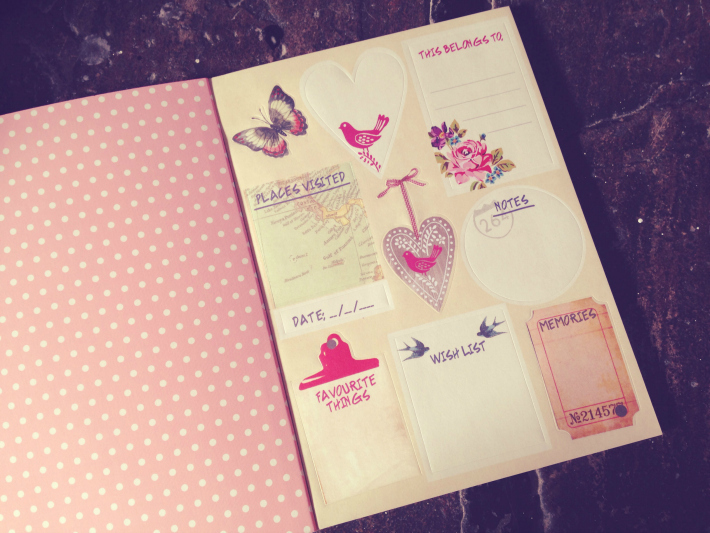 Do you have a scrapbook? Where's your favourite place to shop?